Please come to the registration table to obtain your registrant name badge, which will be valid for the entirety of the sessions for which you are registered (you do not have to check-in each day). Please see the four PCI topics below. Equity and Justice in housing: Recognizing that housing is a solution to homelessness, increase housing opportunities by addressing state and local policy barriers and leveraging a variety of potential partners. Equity and Justice in health care: Achieve better health outcomes through criminal justice reform, increased capacity for integrated mental health and substance use disorder treatment, and access to Medicaid and other health coverage. Equity and Justice in public policy: Understanding that poverty and homelessness stem from structural inequity across a broad range of issues, connect the most significant national and local policy issues impacting the HCH community to the role of local service providers. While each community has unique circumstances, this event will ensure an open discussion focused on achieving equity for underserved populations, replicating best practices at home, and pursuing Justice through better health care and housing. Integrated behavioral health services—a hallmark of the Health Care for the Homeless model—can facilitate better and more accessible care for clients. In providing integrated care, organizations serving people without homes may grapple with limited resources, workforce shortages, and the differing emphases and perspectives of behavioral health and medical providers. This pre-conference institute will address these challenges by building medical providers’ skills at providing behavioral health care, as well as exploring organizational best practices for integrated care. As homelessness has increased across the United States in the last two years, unsheltered homelessness has spiked disproportionately. Housing unaffordability, in particular, leaves many to seek safety in encampments, under bridges, in their cars, and in other unsheltered locations. And no community in the US has sufficient shelter beds for all their neighbors without homes. Consequently, the health of these individuals suffers. Enter street medicine: a distinct discipline that suspends the provider-patient power dynamic and meets clients in their own reality, on their own terms. Street medicine targets people who cannot or will not engage in traditional care to ensure no one is left behind. This full-day session will provide an intermediate-to-advanced dive into common obstacles to street medicine programming, whether you belong to a health center or another agency. Speakers from the HCH community and the Street Medicine Institute will provide attendees with the insight and resources you need to tackle the challenges of growing and strengthening your street medicine program. Medical respite care fills a gap in the continuum of health care for people experiencing homelessness who need a safe environment to recuperate from illness or injury. The Respite Care Providers’ Network (RCPN) has organized a full-day training that will be of interest to administrators, clinicians, consumers, and advocates at every learning level. Through panel presentations and interactive discussions, national experts will share information on consumer engagement, integration of psychology milieu therapy, and payer’s perspectives on the benefits of investing in medical respite. Additionally, information will be provided on identifying outcome measures, policy implications for medical respite, and new resources available for communities as they build their medical respite programs. Participants will also have the opportunity to engage in information sharing and networking with providers from across the country. Open to all Individual Members of the NCAB. All conference attendees are invited to kick off HCH2019 with a breakfast hosted by the Health Care for the Homeless Clinicians’ Network. Join us for roundtable discussions on a variety of topics, and connect with others involved in homeless health care across the country. CN leaders will also share about the Network and its work to improve the health and quality of life of people experiencing homelessness. Youth experiencing homelessness face significant health disparities and higher rates of mental health and substance use conditions. Additionally, they are at risk of underutilizing services compared to their housed counterparts. This session will focus on recommendations for health centers to better serve youth and young adults experiencing homelessness. The True Colors Fund, along with the Fenway Institute, will highlight the need for young adult and youth led leadership to create safe and affirmative spaces for LGBTQ youth and the need for training medical providers and health care professionals on cultural humility for LGBTQ persons. Please join us for the screening of The Advocates, a recent 2018 documentary that provides a sweeping look at the history and causes of Los Angeles’ current housing crisis, and an intimate view of the tireless work of advocates who strive to create better lives for their clients. A moderated discussion will provide an opportunity to discuss these issues with the advocates featured in the film itself following the screening. This panel discussion will feature national leaders in harm reduction and use examples from health centers that have implemented needle exchange services and a “Supportive Place for Observation and Treatment” (SPOT) program to prevent opioid overdoses. This workshop aims to promote and expand harm reduction programs in our communities. The discussion will include a background to harm reduction as an approach to care, the national landscape, navigating community relations and partnerships, integrating these types of programs with other staff and services, and outlining what’s allowable in a health center setting. The HCH Community has always been on the front lines of harm reduction—let’s do more to expand this work further. Housing First is a paradigm-shifting evidence-based approach to ending homelessness that has seen widespread adoption and acceptance across the nation and the world as the most effective solution for the problem of homelessness. This workshop brings together the Corporation for Supportive Housing (CSH), one of the national leaders on the implementation of Supportive Housing, and Central City Concern, a nationally recognized HCH agency that serves thousands of participants experiencing homelessness every year. Participants will take a deep dive into the policy issues surrounding Housing First and the impact of rapid expansion on the fidelity of the model. The Transitions Clinic Network (TCN) supports health system transformation to address the complex needs of individuals with chronic behavioral and physical health conditions at high risk of homelessness returning to the community from incarceration. This workshop will provide background on the innovative TCN model, demonstrate the importance of employing individuals with a personal history of incarceration as community health workers and illustrate how health systems can partner with communities impacted by the criminal justice system to improve the health and well-being of individuals returning from incarceration. This session will highlight two unique TCN programs in California and North Carolina. Staying up-to-date on the growing field of homelessness research presents a considerable challenge for the busy clinician or administrator. This workshop will present a plain-language summary of selected scientific studies on the health of homeless people that have been published since January 1, 2018. The presentation will focus on scientific contributions in the following domains of homeless health: 1) health status, 2) health care access and delivery, and 3) housing. The presenters will highlight the practical implications of each study and provide attendees with an annotated bibliography containing take-home points. No expertise in research methods is required. Open to all Governing Members of NHCHC. We all know that housing is health care and yet as clinicians we are consumed with treating the immediate medical needs of clients. Advocating for housing on our clients behalf is often times not feasible and as a result clients can be easily lost when transitioning from homelessness to housing. As clinicians, we often witness the disruption in care that takes place when housing transitions occur. Although housing is health care, if medical continuity is not preserved our clients health will decline and their respective morbidity and mortality rates will escalate. How do we assist and manage those that may be unable or unwilling to face their diagnosis? How do we assist in managing the pain in someone that has had a substance abuse issue? How do we involve family to facilitate closure and peace? These are all questions that will be explored further in Death with Dignity - Serving our Dying Homeless. Join us as we explore how The INN Between is addressing these issues with volunteer chaplains and end of life doulas to help those dying experience a more peaceful transition and a death with dignity. The HIV epidemic has continued across the country despite innovations in prevention and treatment. With renewed interest in drastic reductions in HIV rates from the federal level, HCHs are in a position to ensure that this movement includes people experiencing homelessness. This facilitated discussion will be a space to discuss promising practices, learn more about initiatives on the national level to address HIV prevention and treatment, and brainstorm how to bring this back to your community. We hope that you walk away ready to drive your health center towards ending the HIV epidemic among the people you serve. We can build patient-informed quality measures to both measure patient experience/satisfaction and build patient engagement. Developing patient-informed quality measures can be very helpful for vulnerable or marginalized health care consumers whose engagement can be heavily influenced by past experience. By co-developing measures with patients using a non-prescriptive ‘What matters most?’ framework, Alameda County HCH produced questions that get at the heart of what patients value. After collaboratively evaluating current surveys, we developed, tested and rolled out patient-defined experience surveys in various settings, and are now working to ensure that patient feedback informs meaningful improvement. Come join us to discuss this work. Three models for medical respite care will be presented - scattered sites, apartment-style, and shelter-based programs. Find the model that suits your community best! Free-flowing discussion about how we started and evolved, lots of time for questions about the basics of starting each model, why each was chosen, the pros and cons of each, programming and funding issues, and lessons learned. The SSI/SSDI Outreach, Access, and Recovery (SOAR) model is designed to increase access to the disability income benefit programs administered by the Social Security Administration (SSA) for people who are experiencing or at risk of homelessness. Integration of the SOAR model into the criminal justice arena has shown promise in promoting post release success and reducing recidivism among those involved in the criminal justice system who are experiencing symptoms of mental illness. This presentation will discuss the specific challenges faced by people with disabling conditions who are justice-involved and will feature outcome results from SOAR collaborations with entities that serve this population. The Structural Competency framework aims to strengthen the capacity of all health center staff, including administrators, clinicians, and outreach workers, to identify, analyze, and address patient health and illness not solely as the outcome of individual actions or cultural factors, but rather as the product of social, political, and economic structures. When health center staff are trained in structural competency –when they analyze and respond to health disparities as the results of harmful social structures – this can (1) improve the work experience of health center staff; (2) improve patient health outcomes; and (3) empower health center staff to advocate for systemic change. Using the data you have at your fingertips gives you the ability to demonstrate your community’s needs. The Uniform Data System (UDS) is an online resource for the health center community that can be used to better understand national, regional, and local populations. Recently The Health Resources and Services Administration’s Office of Quality Control in the Bureau of Primary Care Health Care launched an effort to modernize UDS. This session will highlight the upgrades to the resource including improved data quality and reduced reporting burden. The speakers will also be seeking input from attendees that interface with the UDS platform. Women who are experiencing homelessness face staggering levels of violence, in shelters and homeless housing as well as on the streets. Often, the women don’t report the incidences or aren’t believed when they disclose the sexual and physical abuse they experience. #SafeforMeToo is an initiative borne out of Boston Health Care for the Homeless Program’s HER Saturday women-only clinic that gives voice, support, and empowerment to women experiencing homelessness in the movement against sexual violence and assault. This workshop will provide an overview of the development of #SafeforMeToo as well as provide attendees with tools and resources to bring the initiative to their own communities. Community input increases the quality and relevance of research, but public participation is one of the central challenges that clinical researchers face. Participants in this workshop will serve as experts to provide feedback on various aspects of a proposed or on-going research program on specific areas of concern before the next stage of the project is implemented. Feedback will be sought on the design of a new program that aims to support people with type 2 diabetes experiencing homelessness. HCH Community Experts are the most important resources available to directly guide a research project or program that will impact its intended community. This workshop aims to assure that research or program activities meets the needs of people experiencing homelessness and those providing direct services in the field. We invite and encourage participants of this workshop to offer honest feedback and constructive criticism and serve as an advocate for your community. Open defecation is common in many US cities. Without sanitation when and where it is needed, the human right to sanitation for people experiencing homelessness has not been realized; infectious disease transmission affects the health of homeless and housed people alike. Homeless service agencies often find discarded human feces within feet of their doorsteps and workers can feel helpless to improve conditions with limited resources. In this workshop, attendees will brainstorm new policies within shelters and service agencies as well as local, state, and national policies to reduce open defecation and improve dignity for people experiencing homelessness. This workshop will review the results of reports on homeless deaths in San Francisco, Sacramento, and Philadelphia. The workshop will compare results impacted by gender, age, ethnicity and manner of deaths (natural, accident, homicide, suicide and unknown) between various cities including Los Angeles, Seattle, Denver, and New Orleans. Finally, we will report on how we have used these results to advocate for policy change in order to prevent homeless deaths in the future. This workshop will discuss how the Colorado Coalition for the Homeless finances its capital development; how the organization plans, designs, and manages multiple projects simultaneously, how they integrate housing and health care services, and how they include property management staff in a coordinated approach to care. Health Care for the Homeless providers work in a time of rapidly-evolving science and emerging best practices. Without strategic thinking, all the information can be overwhelming, and difficult to implement as congruent programming for patients. The Connecting Paradigms Workshop helps to turn information overload into a workable model for providing high-quality, integrated services. People of color in America are impacted by structural and institutional systems not created by or for them. Drawing on personal experience, presenters will have an open dialogue about their perspective on social justice – where we are falling short, what has been accomplished, and what they want others to know. This workshop will delve into issues that exist for different populations of color in America and what justice movements look like for these communities. We will explore how these larger cultural and systemic issues relate to the Social Determinants of Health and ensuring all people have access to high quality, culturally appropriate care. The gap in collaboration between health care and faith-based organizations is a missed opportunity for data collection, available beds for medical respite, funding, and solutions for issues in the health care and housing systems. This workshop will review the benefits of partnership, including how organizations can work together for an individual’s right to receive health care and housing. The presenter will also outline strategies for building community networks and demonstrating the value of HCH programs nationally. This innovative approach of collaboration between health centers, hospitals, and faith-based organizations is critical in the fight to end homelessness. Hepatitis A infections and community outbreaks disproportionately affect persons experiencing homelessness and those reporting drug use. This session will talk about the current outbreaks that have affected at least 12 states and thousands of people. As a result of the community, person-to-person transmission of infection, the Advisory Committee on Immunization Practice unanimously voted to list homelessness as a risk-factor indicating the need for vaccination. In an effort to improve vaccination coverage, outreach coordinators from West Virginia will talk about the innovative coalition building that helped to prevent infections among those most at risk. A nurse, a pastor, a doctor, and a lawyer walk into a preschool room in a church basement preschool room in May 2017- and see possibilities. Our core group will recount how we started a free immigrant clinic in a state where almost 97% of residents are insured. We developed a patient carry -your –own- record system as if practicing at a national border ravaged by war. Except for this town’s need for school physicals asap, we operated under the radar. “Home visits” to church- housed, sanctuary families grew our health system for the “medically homeless.” We expanded into an abandoned clinic room – 4 miles away within a 365 soup kitchen in late 2018. This session will recount the wins, losses, and aspirations of a 2 year old, free clinic. Unsheltered people experiencing homelessness face even more health and health care disparities than those staying in shelters, including higher levels of trauma, lower access to entitlements, and more barriers to accessing care. Utilizing and expanding on a model developed by Jim Wither and others, the New York City Department of Homeless Services has funded a street medicine team to integrate the Street Psychiatry and social services operations of the Manhattan Outreach Consortium. This street medicine team not only provides access to primary care outside but also addresses other barriers to effective health care engagement, including addressing people’s negative experiences and attitudes about providers and feelings of discrimination. HCH clinicians advocate for patients with providers in CBOs, hospitals and treatment centers. We discuss how to support and communicate with consumers to decrease stigma, access resources and address the social determinants of health. Our system of care polices consumers, tells them what to do and demands cures, without decreasing suffering. This philosophy, the opposite of the HCH model, leaves the medical system ill-equipped to handle the physical, social, emotional and spiritual distress of people who are experiencing homelessness. Please join a panel of clinicians, administrators, and consumers in an important conversation about how to use your HCH tools and skills to be a consultant to decrease stigma, improve health outcomes, and catalyze system change. The first results of the Council’s strategic planning process are in! They are a re-affirmation of our identity, our approach to our work, and the identification of three strategic priorities. We started with an analysis of the Council’s unique strengths and received input from our membership and many others about challenges facing the Council and those we serve. This session will answer questions related to our strategic planning process, the next steps, and discuss and brainstorm ways the Council can achieve these priorities in the next 3-4 years. If you have questions or suggestions, this session is for you! To Fight Burnout, Advocate for Justice! Provider burnout not only compromises patient quality of care and leads to recruitment & retention challenges, but it feels terrible too! Burnout robs us of the joy we find in our work as healers and has direct impacts on our professional & personal life. Providers are taking on more duties in their normal routine, but their care is undermined by unjust public policies that limit access to basic needs. Seeing clients marginalized—even vilified—in the political discourse only adds to the frustration. Advocating for Justice can be a powerful boost to morale & a needed measure of self-care—and it works to create needed change. We’ll discuss the basics of burnout & the benefits of advocacy, and talk about how to integrate service & advocacy. Telehealth has great potential as a healthcare delivery platform and Health Care for the Homeless could really lead the way with some innovative use of this powerful technology. This facilitated discussion will focus on ways health centers are using telehealth to serve and engage people experiencing homelessness. In caring for an underserved and marginalized population, one of our primary goals is to identify the barriers that prevent access to care and optimize the supports needed to overcome them. These obstacles are variable and complex, and understanding them well is difficult. By introducing CHW’s to care teams and developing a partnership with medical providers, we gain the ability to tailor unique care plans for each client more effectively. After briefly defining the role of a CHW and some of the evidence supporting CHW involvement in care, we will engage in a case based discussion of how the collaboration between medical providers and CHWs offers the opportunity to better understand our clients’ needs and deliver high quality health care. This presentation will focus on the care delivery and policy implications of utilizing sobering centers as an alternative to the ED and jail for acute intoxication. With nearly 40 sobering centers now in operation, emerging research has shown the benefits of sobering centers as a critical piece in the safety net for those with substance use disorders, yet their safety and success are still under debate. A facilitated discussion will delve into the policy and political aspects of sobering care as an alternative to the jail and emergency department. Additionally, we will consider the role of sobering services as part of the continuum of care focused on alcohol use disorders, homeless health care, and as an alternative site for primary care. People with the lived experience of homelessness are at greater risk of developing gerontological conditions at much younger ages than the general population, while also being at high risk for experiencing substance use disorders and mental illness. Half of this population is age 50 or older, creating a growing need for access to higher levels of care that are low-barrier, harm-reduction, and trauma-informed. Housing and health care partners working together with state and local agencies have been unable to resolve this dilemma, as the answers to questions regarding patient autonomy and decisional capacity in the context of mental illness and substance use disorder are not always clearly prescribed. Caring for patients living without homes often poses ethical dilemmas unique to this population. This talk will review particular ethical dilemmas that have caused our team discomfort in the past and how to apply medical ethics and the principal of “do no harm” in these challenging situations. This will generate a discussion with other programs about situations that have led to ethical gray zones. Medical Legal Partnerships (MLPs) are an effective tool for advancing justice for our homeless patients. The presenters, from an established MLP, will illustrate how health care providers address legal barriers by testifying at social security hearings and assisting in other cases, such as eviction and criminal cases. Attendees will have an opportunity to role play using several scenarios to screen for legal barriers. By the end, attendees will have concrete ideas on how to start an MLP and will learn what specific barriers have a direct relationship to causing and worsening housing status and health. Attendees will also come away with knowledge of the specific and effective tools they have to bear in bringing a patient’s case to justice. Attendees will also be asked to complete a short action plan for developing an MLP. One of Baltimore Health Care for the Homeless’s strategic goals for 2018-2021 is for the health outcomes of our clients experiencing homelessness to rival the health outcomes of a stable population. Conventional Western medicine practices alone have proven insufficient in addressing the complex needs of HCH clients who have significant experiences of untreated pain and trauma. By implementing holistic healing practices such as herbal medicine, acupuncture, massage, biofeedback, stress reduction techniques, meditation, and yoga, providers can hope to alleviate human suffering and heal the whole person - mind, body, spirit. Through collaboration, HCH agencies can replicate ways of bringing these practices into service delivery and share strategies to combat potential obstacles. Discussion will include impact on public policies and reimbursements for the uninsured, Medicaid and Medicare beneficiaries. Are there problems with the current system you’d like to change in order to end poverty and homelessness? Are you curious about how Congress impacts our lives and how we can help them do better? If so, then this session is for you! With time for discussion, this session will cover the basics of how Congress works and how their decisions impact the Health Care for the Homeless Community. The session will share insider tips and tricks from congressional staff members and experts in the advocacy field. Attendees will leave with specific action steps for engaging with Congress and a greater understanding of our important role in government decision making! The VI-SPDAT is the most popular vulnerability measurement tool in use for prioritizing housing services through coordinated assessment. However there has been little evaluation of the measurement and performance characteristics of self-reported vulnerability assessments such as the VI-SPDAT being used. Communities should be also able to evaluate the success of their coordinated assessment and identify any red flags such as demographic inequities.The tests with which a community may evaluate their own coordinated assessment tools will be described in detail. The results of a comprehensive evaluation of the VI-SPDAT in one community will be quickly presented and several red-flags identified will be highlighted and discussed. Engaging people with the lived experience is critical to providing access to quality health care services and promoting dignity and respect. But how can we engage consumers at health centers given the numerous barriers that exist? This workshop will explore strategies and lessons learned from a diverse range of health centers around consumer recruitment and retention. We will discuss volunteer management strategies that can be used in developing consumer engagement, how to maximize the use of Consumer Advisory Boards (CABs), and methods of creating intentional structures and spaces for partnership. Portland is experiencing a homelessness crisis which is exacerbated for racial and ethnic minorities, particularly those affected by substance use and mental illness. Latinx and African American communities suffer from a disproportionately high rate of homelessness and scarce resources for culturally competent services. By using culturally specific treatment models, hiring people from the Latinx and African American communities, and providing insight to the agency and its policies, CCC’s Imani Center and Puentes offer a trauma-informed and culturally-focused approach that is meaningful to the communities they serve, striving for a stronger community of recovery and self-sufficiency. The transgender and gender expansive (TGE) community faces transphobia and structural violence within the healthcare, legal, and housing system. We will discuss the social injustices that lead to healthcare disparities among TGE people experiencing homelessness. Presenters will lead group discussions to encourage critical-thinking and problem-solving around TGE-specific institutional injustices. Participants will work through clinical case studies to identify 1) healthcare disparities, 2) trauma-informed and gender-affirming services to address those disparities, and 3) advocacy strategies to reduce institutional and social barriers to care. We will highlight how to weave the patient voice into healthcare service programming and delivery. Social media is powerful, direct, and immediate—and if you aren’t already involved, you’re missing a crucial opportunity to tell the story of your programs and consumers and help destigmatize homelessness. Building on last year’s primer for entities in the HCH field seeking to build or improve their communications through social media storytelling, this presentation will teach participants how to design and implement basic communications campaigns to visualize data on homelessness or homeless services, highlight consumer stories, and more to better reach a broader community for advocacy, development, and awareness. This workshop will provide attendees with the tools to understand homelessness as a racial equity issue and begin to identify and quantify racial inequity among systems of care. Attendees will learn about the intersection of homelessness, health care, and racial equity from subject matter experts and will share their own questions and challenges. Attendees will participate in an activity to identify and consider distinct racial equity issues and incorporate this equity-focused thinking into day-to-day activities in a collaborative manner. The goal is for attendees to take practical tools and knowledge for working together to tackle racial inequity in their homeless, health care, and housing systems back to their communities. Several states are newly expanding Medicaid to single adults, which will drastically expand access to care for people experiencing homelessness. While this presents exciting opportunities for growth at Health Care for the Homeless health centers, it also brings unique challenges for HCH programs. This workshop will feature several HCH leaders who have struggled through the difficulties and benefits of Medicaid expansion, share lessons learned, offer advice for those new to expansion, and facilitate conversation around the administrative, clinical, and policy issues that come with serving a predominately insured population. Bring your questions or your own experiences with Medicaid expansion to add to the discussion. Medicaid ACOs are one approach states are taking to redesign their health care delivery systems. To date, 12 states have active Medicaid ACO programs, and at least 10 more are pursuing them, including Massachusetts. To support the ACO rollout, Massachusetts has created its own version of ‘Health Homes,’ a state-driven Medicaid program. BHCHP, in partnership with eight homeless service providers in Boston, has formed its own Community Partner program known as the Boston Coordinated Care Hub. The “Hub” now has contracts with 10 ACOs/MCOs to provide care coordination for approximately 1,000 Medicaid enrollees in the greater Boston area. This panel will discuss the formation of the Hub; the model; front line care delivery; and outcomes. Homeless individuals who sleep outside, rough sleepers, are vulnerable. Literature shows that rough sleepers have worse outcomes than the general population and sheltered counterparts. Housing should improve outcomes yet, little information exists. Boston Health Care for the Homeless Program and a housing agency housed 73 rough sleepers directly from the streets over 10 years. The retention rate is ~55% which is lower than rates reported by other housing programs. Obtaining housing is an important component of care for every homeless person. Individuals living on the streets who move into housing need comprehensive support services to ensure success and a continuum of housing options with a range from independent living to nursing homes. This discussion, facilitated by subject matter experts in both coordinated entry and housing-health care system integration, will focus on the benefits to Health Care for the Homeless (HCH) consumers of connecting to homeless assistance Coordinated Entry Systems. Presenters will provide a brief overview of Coordinated Entry and the opportunities for HCH providers and other health system stakeholders to participate. Using a combination of prompts, community examples, and group work, the facilitated discussion will result in participants exploring how best to participate in and partner with Coordinated Entry Systems to better connect consumers to needed housing and supportive services. The goal of this talk is to encourage HCH teams to share innovative practices and problem solve situations with the NHCH community that highlight practices that build bridges to care and break down barriers imposed by traditional models of care. We will look at an innovative way to approach cervical cancer screening that empowers women and present data that has potential to transform screening beyond the HCH community. Discuss POCT Hep C testing and ultrasound that streamlines hepatitis C treatment and breaks down rather than building barriers to care. Present a brief case study that explores the difficult conversation around terminal diagnosis and the decision making process that allows individuals to live and die as they want. Addressing the underlying issues that cause high rates of homelessness among people of color require a multi-prong approach. To achieve immediate and long-term goals in achieving racial equity, supporting Partnerships for Anti-Racist Communities (SPARC) published recommendations which grew out of their 2017 mixed-methods study exploring racial disparities in housing and homelessness. This facilitated discussion will guide participants to consider, at the individual level, how one can become agents of change and what barriers exist in creating more equitable practices; and at the organizational level, what policies best support people of color in various communities. Participants will be able to share experiences, brainstorm with peers, and learn about current practices in the realm of health care and housing from other service providers. Professional, productive relationships with youth and young adults (YYA) who are experiencing homelessness—it’s a complex dance sometimes. So much informs and complicates these relationships: being/having been a consumer, power differentials, both primary and secondary trauma, and past experiences with services. And for everyone, balancing being approachable with being professional can be hard. Sometimes we care so much that it becomes difficult to tell the difference between a friend and a YYA. Other times we get so caught up in being professional that we become cold or forget to show empathy with the YYA. In this workshop we will discuss these issues, why they happen, and what we can do to find a balance between them, together. Persons who are released from incarceration face daunting challenges. These include conditions of probation, parole, or community corrections; establishing housing; gaining employment (very difficult for most persons who have felony charges); family re-unification; engaging in prosocial activities and demonstrating prosocial behaviors; and, having comprehensive healthcare. These challenges are worsened by homelessness. Previously incarcerated persons are at risk of homelessness and all too often become persons experiencing homelessness. This facilitated discussion will present a unique project that is a collaboration between the Colorado Department of Corrections and community partners including a Federally Qualified Health Center to improve the healthcare and re-entry outcomes for justice involved women. Engaging Community Health Workers (CHW) provides the opportunity to strengthen our understanding and connections for health centers and vulnerable populations. Coming from the community they work with, Community Health Workers have unique skills, insight and experience with the communities they serve. Their ability to build relationships and bridge the gap between providers and consumers is invaluable to health centers looking to increase engagement and provide high-quality care. This workshop will dive into the roles of community health workers and explore how health centers can support peer workers recruited from within the community they serve. Disparities between the workforce and the population served causes much tension in healthcare for the homeless organizations striving to work for justice. Systemic racial and ethnic inequalities add to the layers of factors creating homelessness. If healthcare delivery organizations want to foster systems of justice and not charity, hiring a workforce that matches the served population builds trust and fosters health. This 90-minute workshop will include an overview and discussion of national health disparity and workforce data. Presenters will discuss importance of having a representative workforce in order to impact health outcomes and build trust with community members. The majority of this workshop will be spent in small groups with leaders facilitating discussions about how organizations can face systemic barriers and create internal workflows to recruit, promote, and retain a more inclusive and representative workforce in order to improve the health of their community. Food Justice is a movement in response to food insecurity and economic pressures that prevent access to healthy, nutritious, and culturally appropriate foods. The direct correlation between housing instability and the association of type 2 diabetes, obesity with food insecurity has been well documented therefore, it is important to view the management of diabetes for people experiencing homelessness through a food justice lens. Registered Dietitians serving in health centers located in both urban and rural communities will share strategies to assess for food insecurity and assist patients with diabetes to make better food choices. The document titled” “Nutrition and Diabetes” recently published by the Council will be highlighted. In communities across the nation, harmless, unavoidable behaviors like sleeping and sitting are criminalized for persons experiencing homeless, often forcing them into health-threatening situations and imposing fines and arrest records that put further barriers between these individuals and the access to housing and services they need. In this workshop, we will discuss the impacts of criminalization of homelessness from the consumer, legal, and policy perspectives, and learn about federal laws and policies, economic impacts, best practices, and other tools to help stop criminalization and promote the human right to housing. We will also discuss opportunities to get involved with others locally and nationally for justice in your community. The care of the homeless mentally ill patient takes a great deal of flexibility and often requires creative approaches. This workshop aims to provide a down-to earth discussion regarding general treatment approaches to psychiatric illnesses and practical interventions that address the needs specific to this population. As a community that provides health care for the most vulnerable, it is our duty and moral responsibility to lead the charge towards health care justice and a single-payer solution. This session will equip the audience with information and tools they need to become leaders in the movement towards universal health care. The audience will hear from a range of activists and experts on their varied success with national and local campaigns and leave empowered to act with tangible strategies to engage in single-payer advocacy. Trauma-informed care is everywhere! HCH providers were early adaptors in learning and applying trauma-informed concepts, philosophies, and approaches. While many are at the point of integrating trauma-informed practices into patient care, this workshop challenges participants to focus on another crucial and often overlooked step of any trauma-informed journey; staff supervision. The delivery of quality care depends on a healthy and motivated workforce. Secondary/vicarious trauma, burnout, team dynamics, and other challenges of working with traumatized patients and modern health care forces us to take a new look at how we grow and support staff. Human rights are the basic rights and freedoms that belong to every person. They are interrelated, interdependent and indivisible. Yet these rights are not inherently given to us by the government, it is up to us to demand that our rights to housing and health care be realized. The National Consumer Advisory Board and Council staff invite you to join us at a rally for human rights. Following the closing plenary, we will gather in the hotel lobby and walk to LaFayette Square at 5:15 p.m. Please join us for this spirited expression to demand justice! Please see the four LL topics below. Racism is a principal driver of homelessness in the United States, and in fact, organizations who serve people without homes can be complicit in perpetuating it. Moreover, it is vital that we embrace the racial diversification of the workplace and overcome the challenges of adopting anti-racist policies within our own institutions. 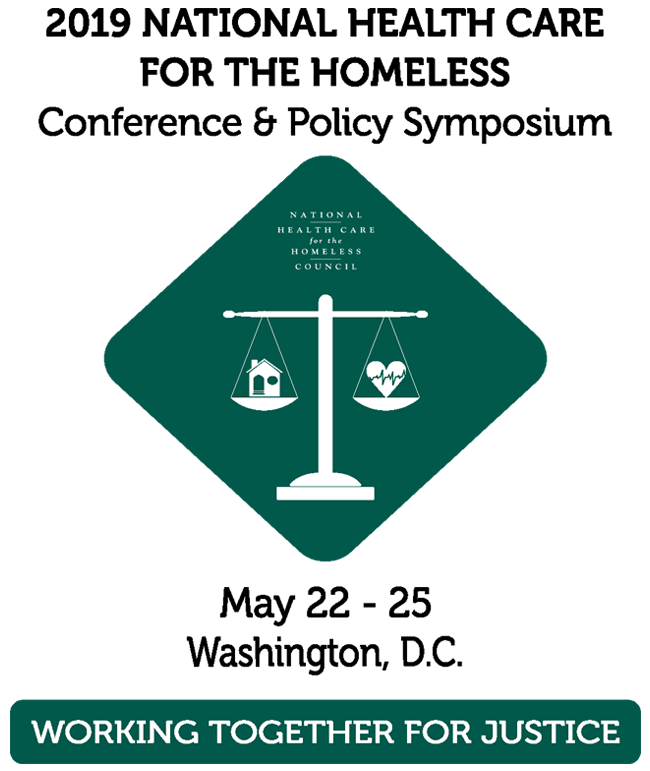 In this context, the National Health Care for the Homeless Council initiated a learning collaborative of HCH community health centers and other agencies to address the intersection of racism and homelessness. This project is still ongoing, but by the time of the National Conference in May, the Collaborative will have addressed topics such as: an overview of the intersection of racism and homelessness; HR and hiring practices; data analysis on racial equity; programming to target clients of underrepresented races; and training staff in anti-racist values. This Learning Lab will report on the Learning Collaborative’s progress to-date and will equip attendees with tools to advance the dialogue within their own organizations and elicit meaningful change. The three goals of the Health Center Program Diabetes Quality Improvement Initiative are: •	Improve diabetes treatment and management, •	Increase diabetes prevention efforts, and •	Reduce health disparities. This Learning Lab will be an interactive, skill-building session focused on improving diabetes management, a HRSA priority. The Council’s newly released Adapting Your Practice: Treatment And Recommendations for Patients Experiencing Homelessness With Diabetes Mellitus will be highlighted. Please note: pre-work for this Learning Lab will be required. Childhood trauma compromises neurological development and increases risks for immediate and long-term adverse health outcomes, including clinical depression, substance use disorders, suicidality, and numerous chronic health conditions such as diabetes, cancer, cardiovascular, and respiratory diseases, compared to people with no ACEs. Children living in poverty, including those experiencing homelessness, are more likely to carry high ACE scores, increasing their risk of developmental challenges and poor health and functioning. Organizations and clinicians serving people without homes have a unique opportunity to prevent and address ACEs by providing interventions that mitigate the potential negative impact of trauma. Through interventions like Cognitive Behavioral Therapy, parenting classes, resilience education, and the identification of soft-cognitive disabilities, they can work to reduce the likelihood of obesity, depression, and other ACE-related health issues. This Learning Lab session will explore the correlation between poverty, homelessness, ACEs, and health outcomes, and discuss evidence-based prevention and treatment interventions for childhood trauma. Everyone has a story. Sharing those stories has the power to build empathy, connect people, and change perspectives. Storytelling allows us to share our personal experiences to move discussions of homelessness and health care from a focus on individual failures towards discussions aimed at solutions to the larger root causes of poverty and illness. However, storytelling often involves processing and sharing trauma, which has the potential to re-traumatize the audience or the storyteller. This consumer-led workshop will explain the basics of trauma and storytelling, share lessons of how to practice trauma-informed storytelling, and give attendees the chance to develop and practice telling their stories.